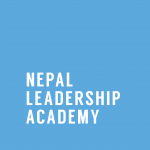 Global Ambassadors are university students and young professionals who share the values of Nepal Leadership Academy (NLA) and Daayitwa, and act as representatives in the international arena. Global Ambassadors play a significant role in communicating the organizations’ messages in their network and support the outreach of various programs. Become a part of NLA and Daayitwa’s larger community and explore your leadership! Apply here to become a Global Ambassador. 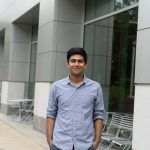 Anuj Baskota is a second-year undergraduate studying biological engineering at Cornell University. His core interest lies in sustainable agriculture as well as biomedical applications. In the university, he is a teaching assistant for a biology course as well as an undergraduate researcher in a lab which analyzes organoleptic properties of food products. In the past, he has interned and worked in Centre for Molecular Dynamics, Thapathali where he facilitated in building prosthetic arms using 3D printing. In his gap year post-high school, he volunteered in Daayitwa. He assisted the Rural Enterprise Acceleration Project (REAP) team. In his free time, he enjoys hiking and exploring new places, and cooking. Prasun Shrestha is a student of Social & Behavioral Sciences at Soka University of America (SUA), California. Simple yet profound questions, such as why humans do what they do, intrigue him. He is the co-founder and co-president of Social Entrepreneurship & Economic Development (SEED), a research center at SUA that inquires, explains, and solves social issues informed by evidence. He wants to blend his passion for analytics and technology to drive social and entrepreneurial change. As a global ambassador for NLA, Prasun aspires to further the outreach and promote effective leadership amongst youth, aligning with NLA’s mission to foster leadership in Nepal. I’ve always been inquisitive about socio-political issues rooted in our country, and the ways in which I could contribute/ see changes happen. Joining NLA was an amazing experience, and as a mere 16-year-old high school student, I saw a lot more ways than I thought there were to contribute. Attending United World College of Dilijan right now, I’m living in a foreign country with multiple nationalities, but my heart is etched back home. 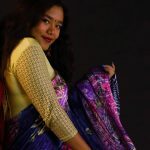 Global Ambassadorship signifies a lot to me, it makes me realize further that I don’t have to physically be home to help out communities, and that I always have this channel through which I’m connected to Nepal. 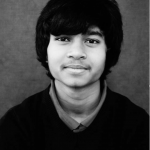 Jay Mahato is a sophomore at Middlebury College in Vermont, USA, with a major in Environmental Economics and a minor in Mathematics. He is interested in understanding and working on micro-level sustainable developments. He attended the Middlebury School of the Environment in China in summer 2018 where he worked with rural farmers and NGOs to assimilate traditional and modern farming techniques to make farming more sustainable and to uplift farmers’ economic standard. He is looking forward to work with Middlebury College Sustainability Integration Office to ultimately develop a model that includes the economic, social and environmental aspects of the college’s growing portfolio of renewable energy assets. He loves rock climbing and playing football. 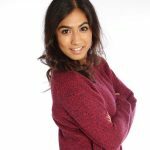 Ritu Tripathi is an enthusiastic graduate in Chemical Engineering BEng Honours from Newcastle University, United Kingdom. In the university, she partook in various extracurricular activities to explore her other areas of interest. For instance, participating in a dance battle where her team performed in front of 1500 people and won second place allowed her to boost her confidence and assuredly take on what she believes in. Currently, working as a sales consultant in Travelex, she has developed excellent interpersonal skills. She has always been passionate about promoting well-rounded leadership and strives to be a good leader herself. She wants to continue on this path as a Global Ambassador. 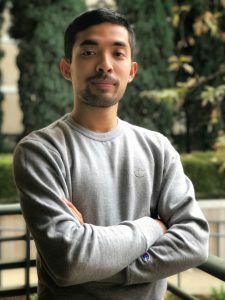 Born in Bardiya, Nepal and raised witnessing the civil war of his country, Sumesh Shiwakoty studied International Relations at Pitzer College, a member of The Claremont Colleges in California. Before receiving a scholarship to come to California, Shiwakoty co-founded a non-profit in Nepal named Grassroots Movement for Justice (GMJ), with a founding vision of assisting in achieving the Millennium Development Goals in the country. In 2015, after the devastating earthquake hit Nepal, he received a grant from the Andrew W. Mellon Foundation to make a comparative assessment of seismic safety measures in Nepal and California. In the past, he has worked with the World Policy Institute, Center for Constitutional Rights and is currently a Board Member for the United by Love, a multinational non-profit founded in the United States. He regularly contributes op-ed articles on international affairs and foreign policy issues. 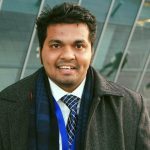 As a global ambassador for NLA, Sumesh hopes to contribute in whatever way he can to the leadership development of youth in Nepal.